EXCLUSIVE! Dress up a pair of jeans or add finesse to anything black. 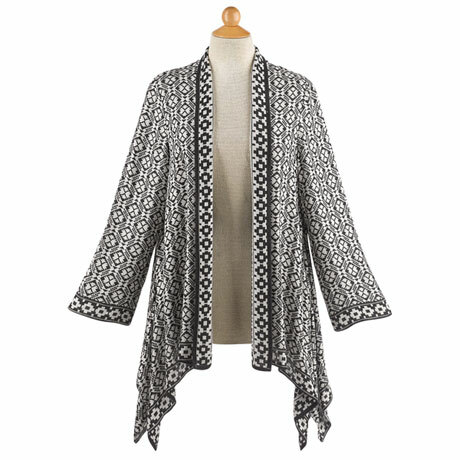 Jacket has an open front, casual drop shoulders, and ¾-length sleeves. The pattern is woven in, not printed on. 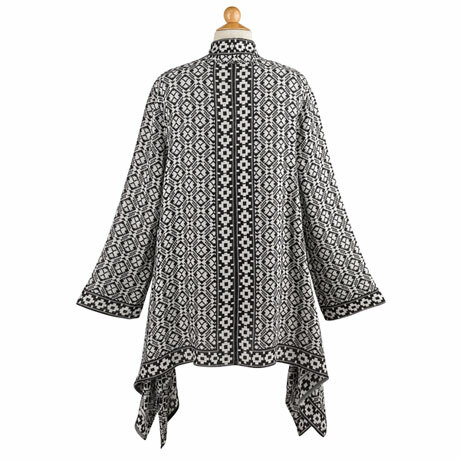 Black and off-white 100% viscose, sizes S/M(4/10), L/XL(10-14), XXL(14-18). Hangs 30", longer on sides. Machine wash. Imported.